The MakerLab is a nomadic space where people meet to share ideas, skills, resources and most important, create common goods. At the MakerLabs we strive to solve common challenges through Open Innovation and collaborative processes. Although initiated in Berlin, the MakerLab is formed by the individuals from the international community which attend each of the events. The ever-flowing community acts as a physical and virtual event-based hub, traveling to provide a site where locals can meet other locals, where specific situations plug into the international community through learning, design and iterations. 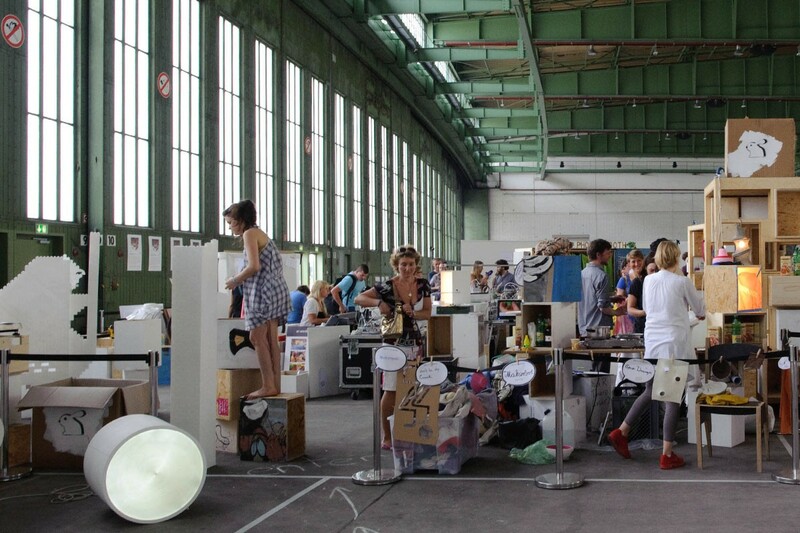 The Maker Lab started at DMY-Berlin 2010. Rather than bringing finished design products, at the makerlab the whole design process and tools was brought, inviting DMY visitors to experience design. The MakerLab was shaped and realized by many people that either came by and left some ideas or skills with us, lead a workshop, held a discussion or simply brought some energy in as it was passing by.